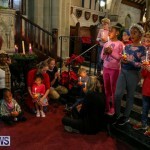 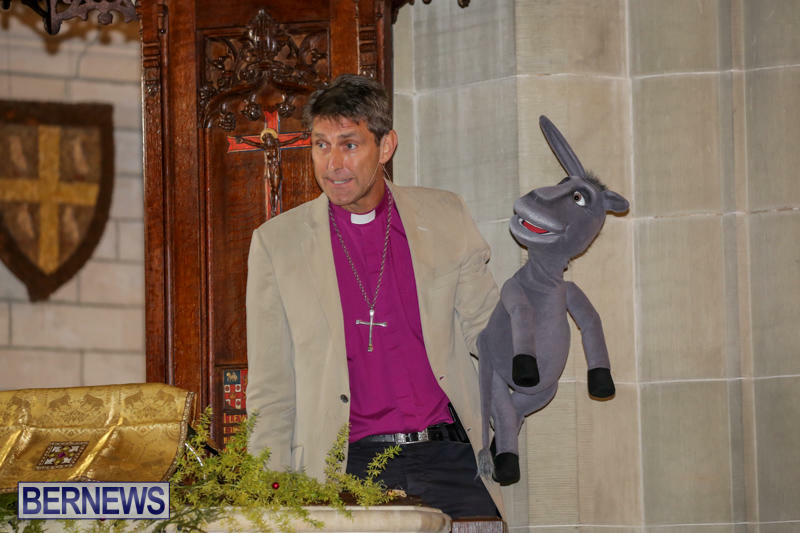 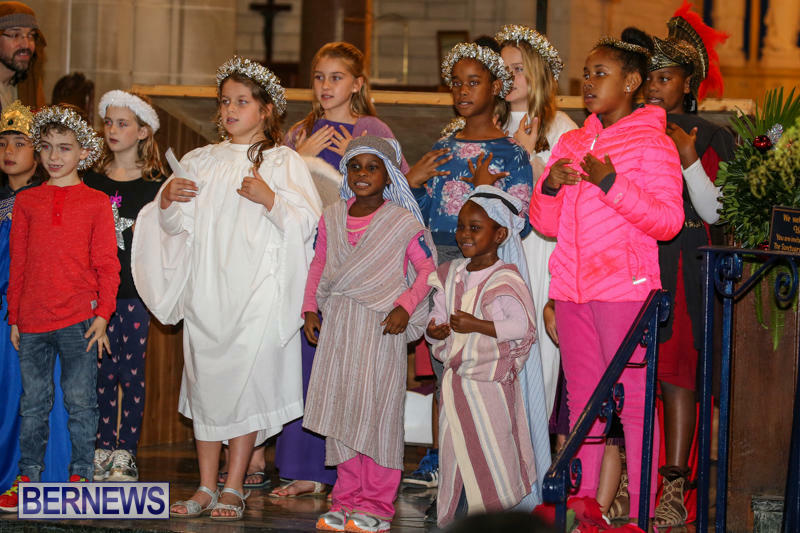 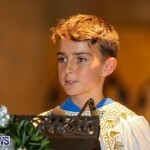 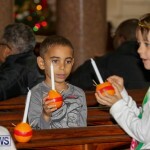 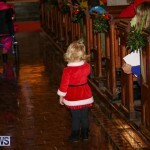 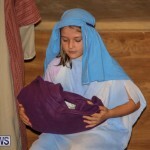 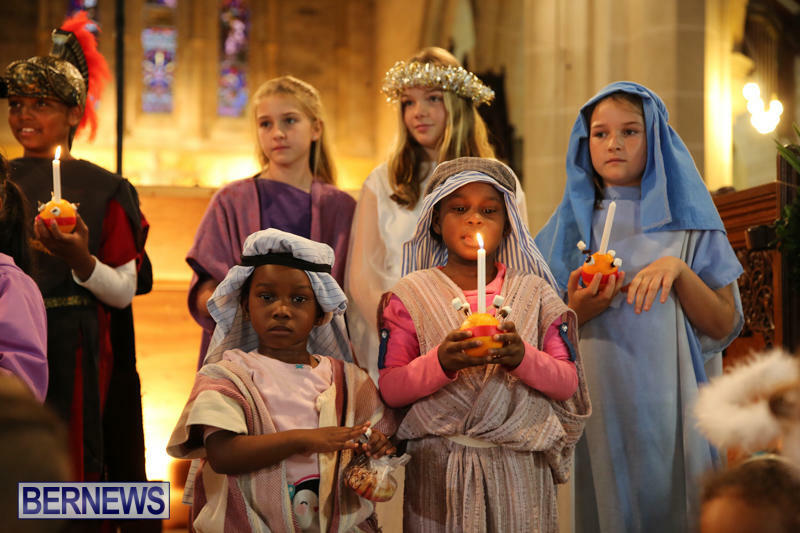 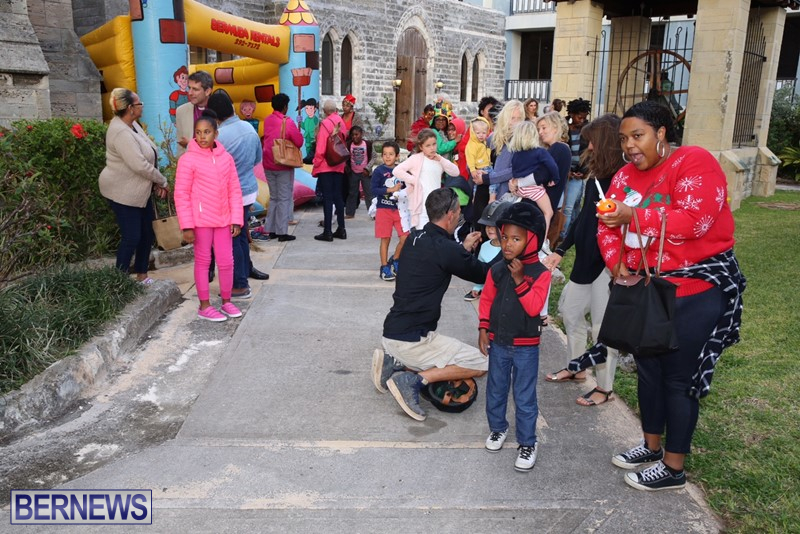 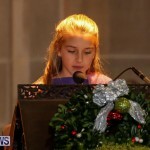 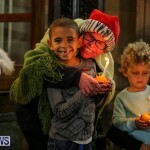 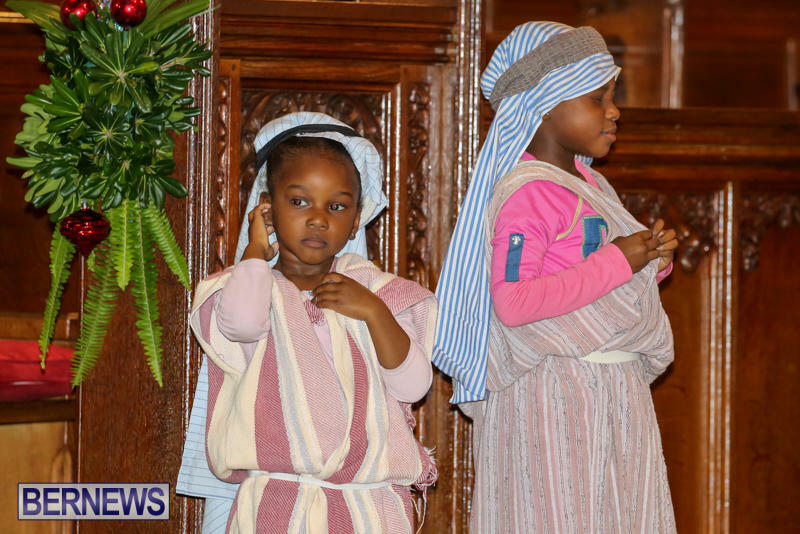 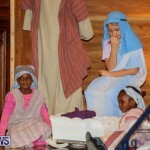 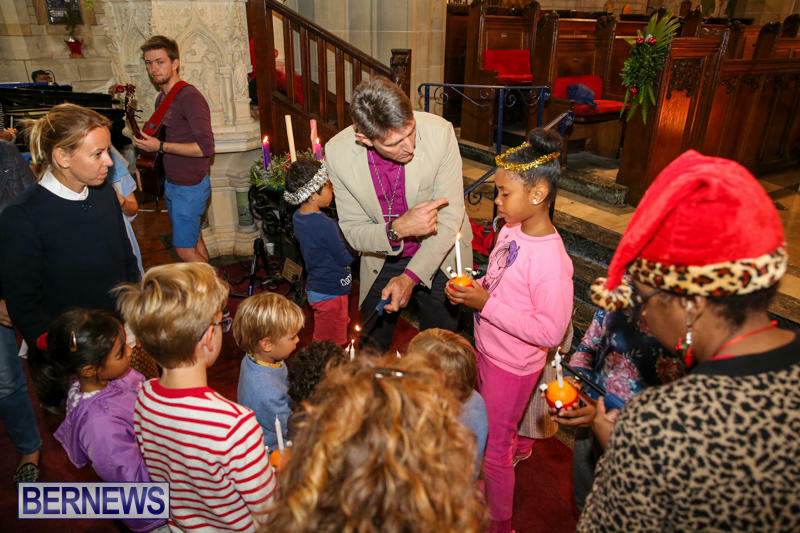 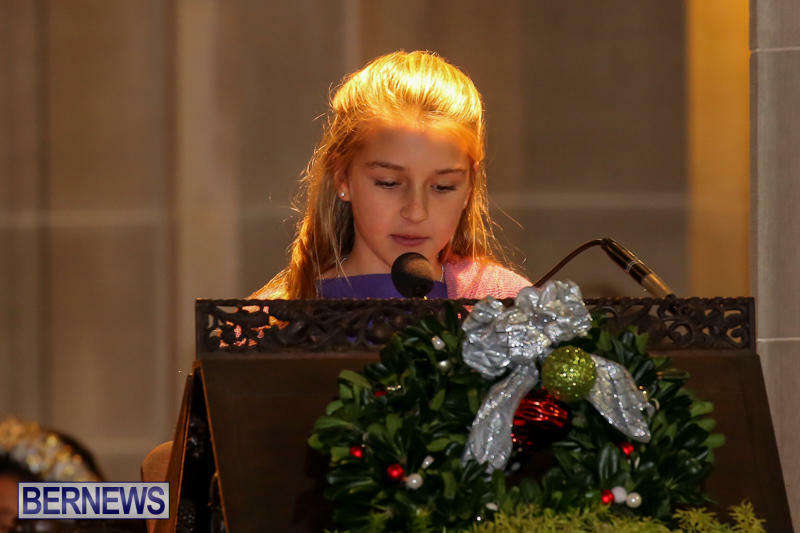 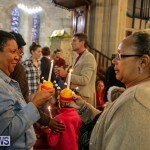 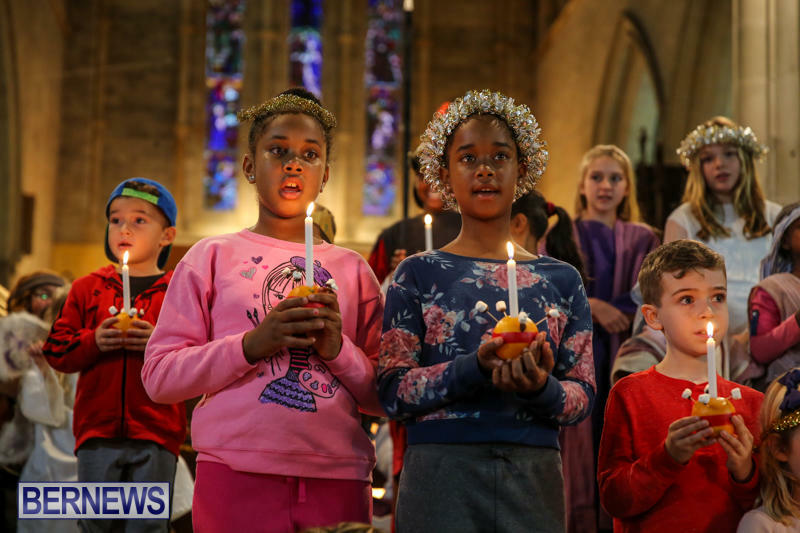 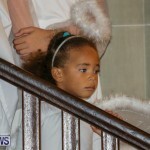 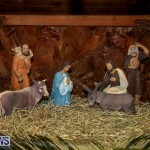 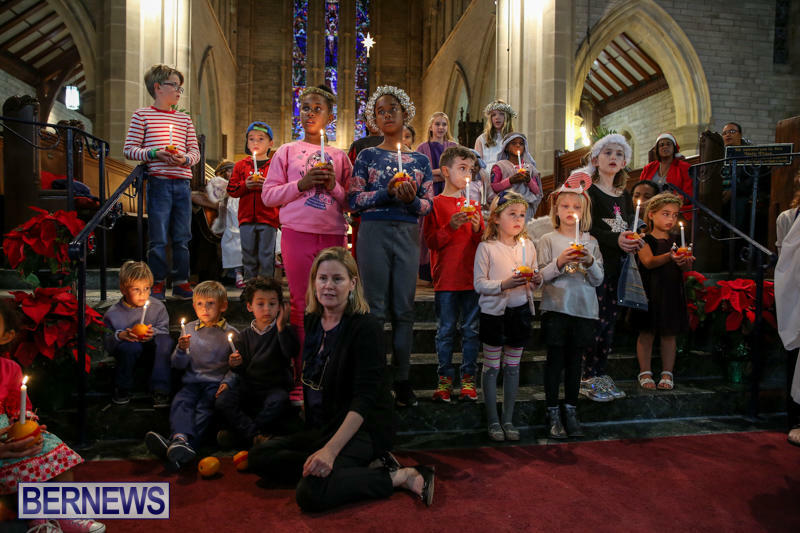 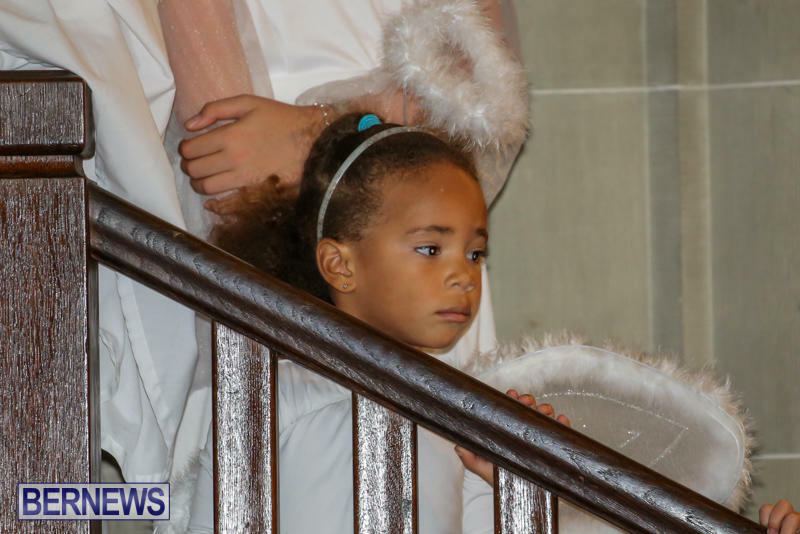 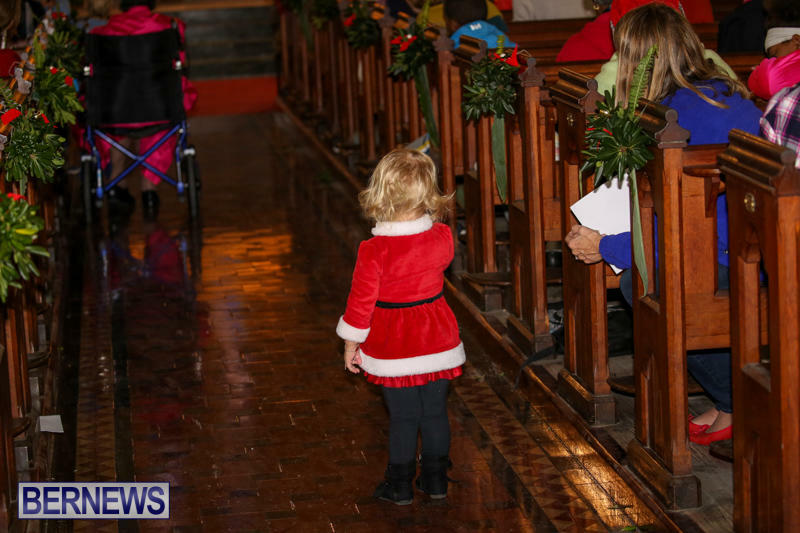 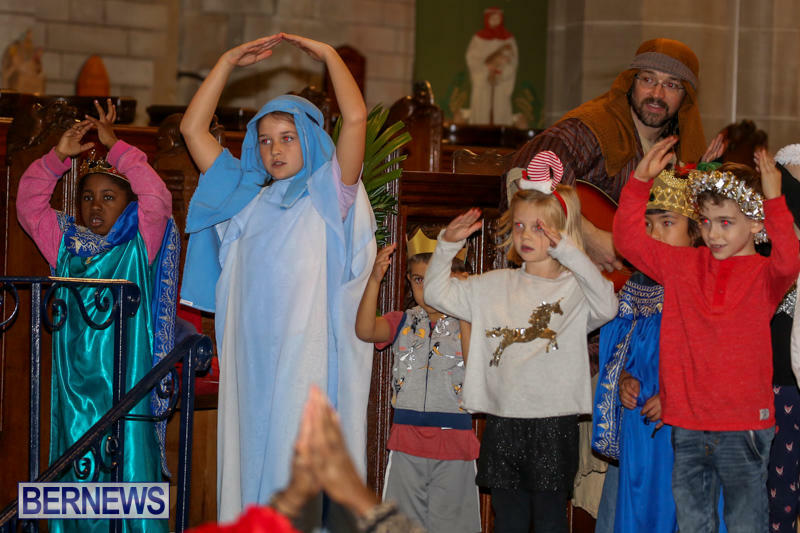 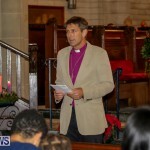 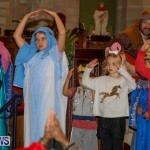 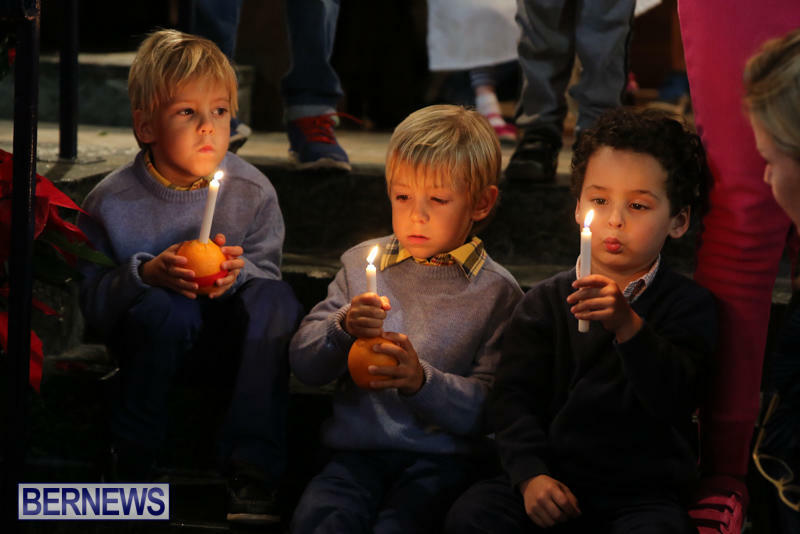 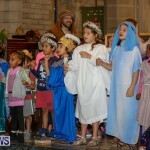 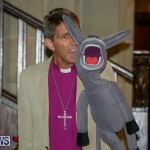 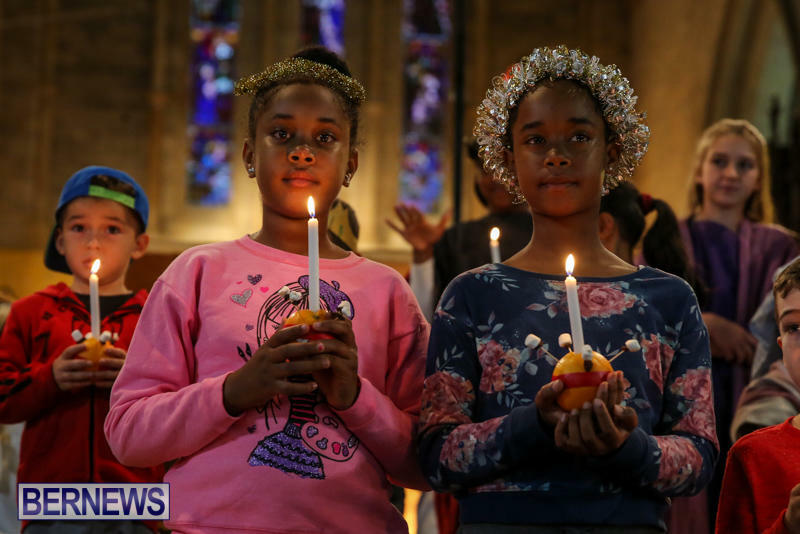 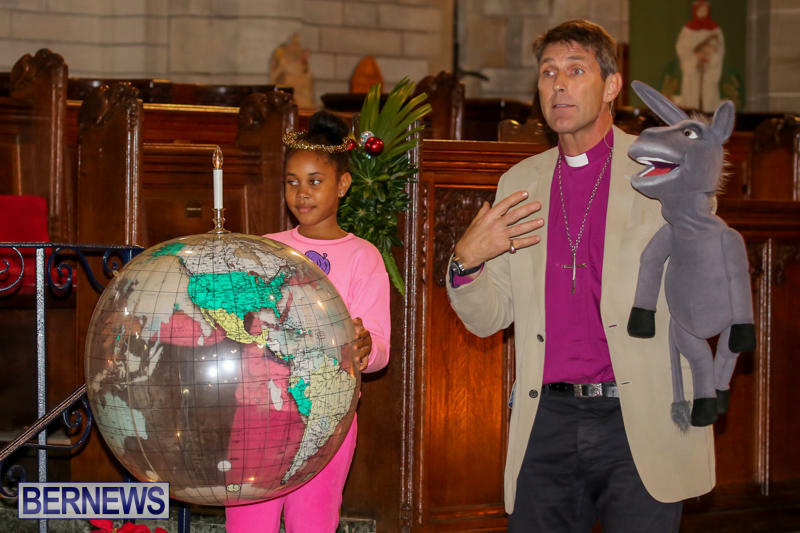 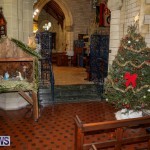 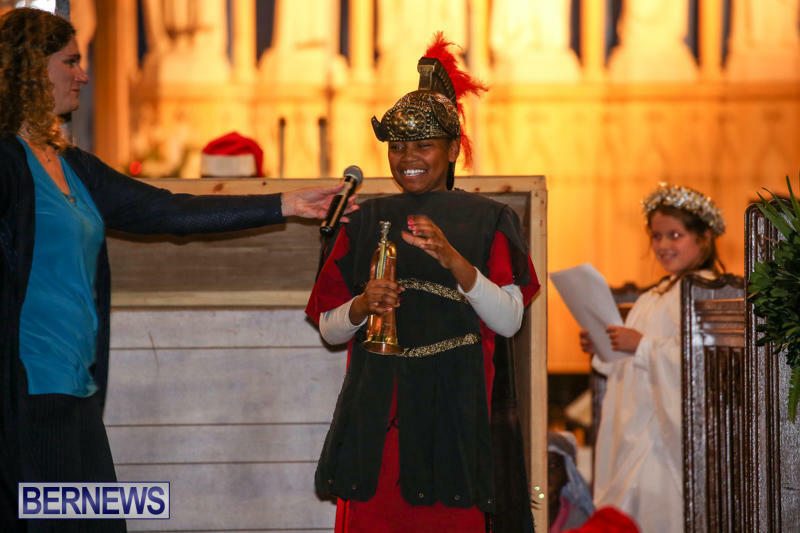 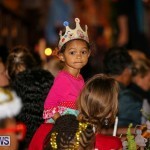 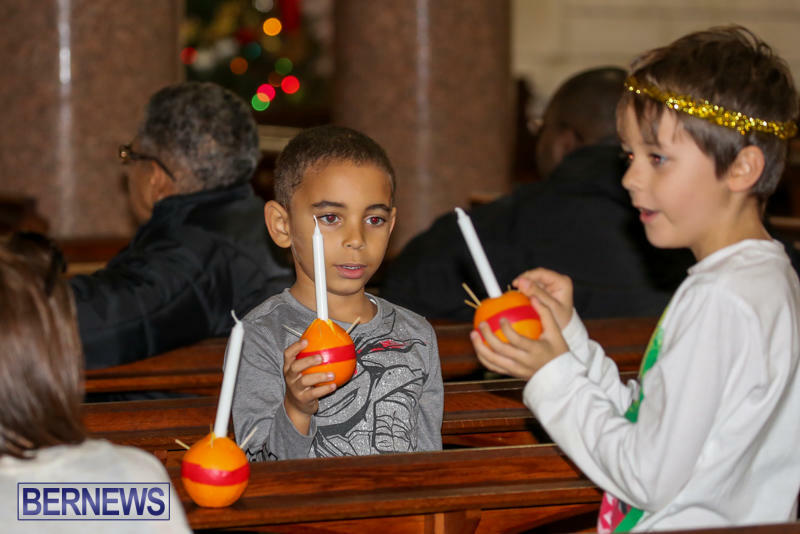 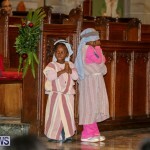 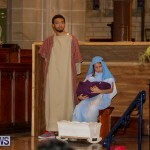 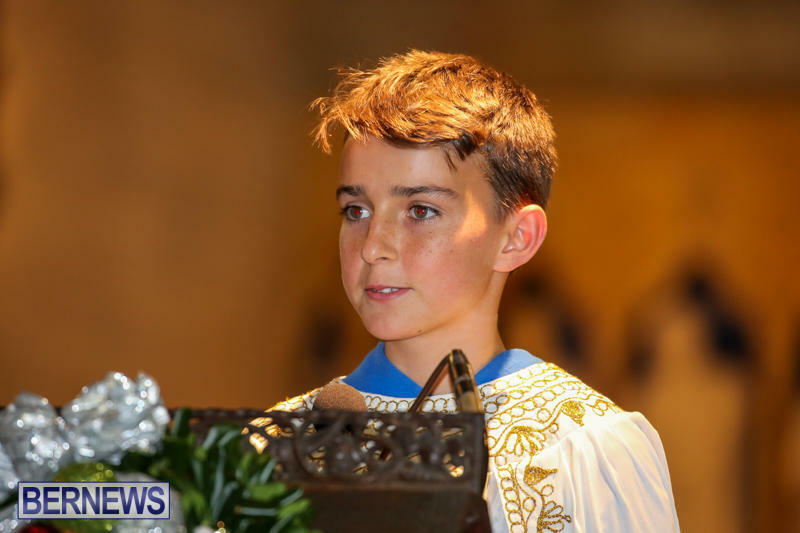 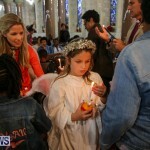 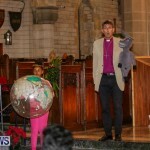 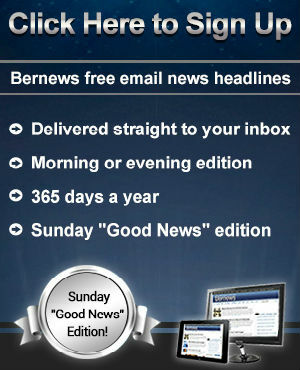 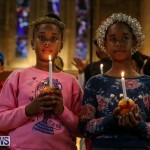 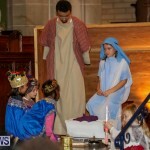 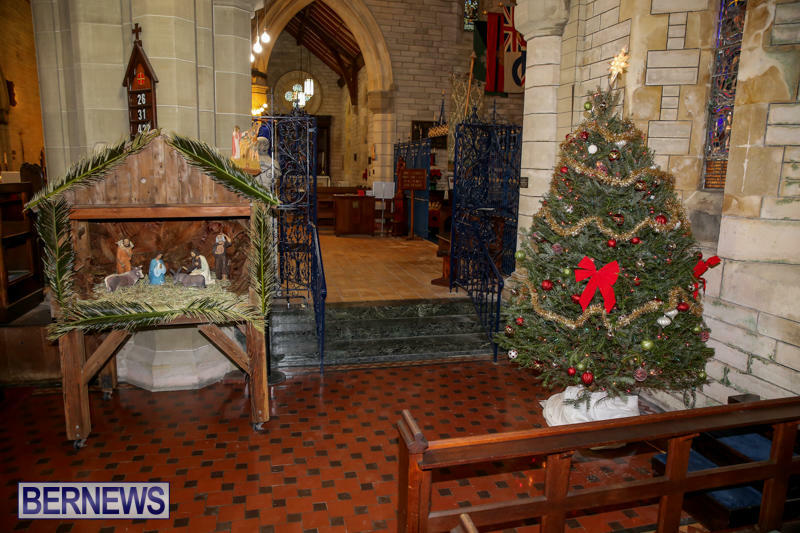 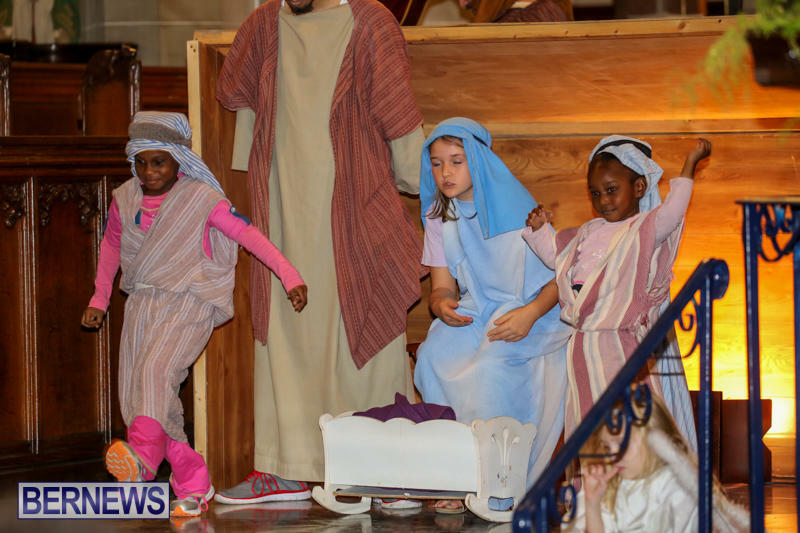 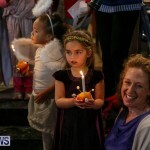 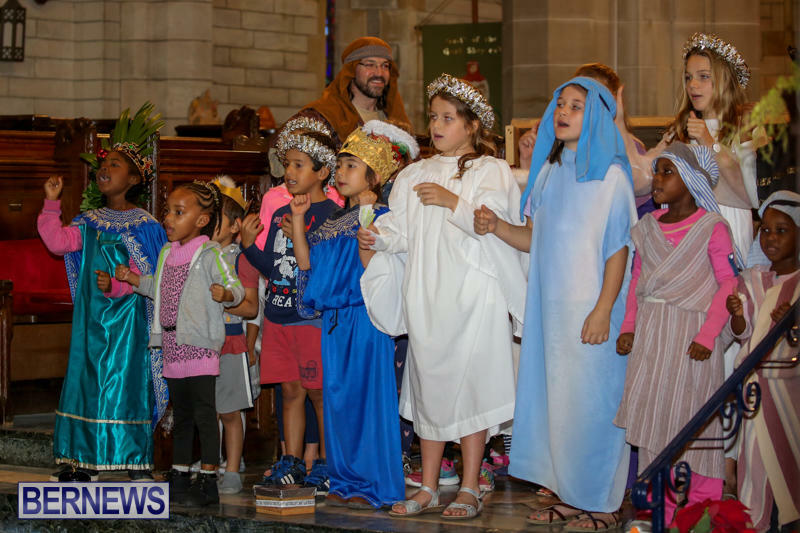 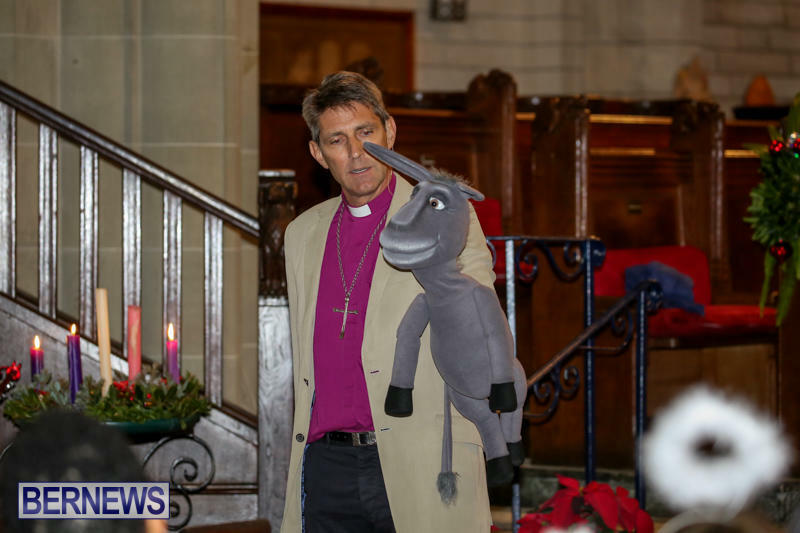 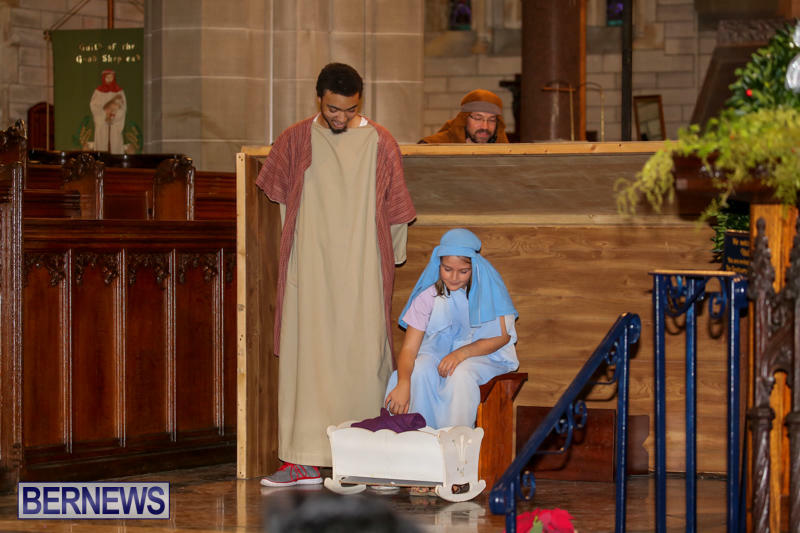 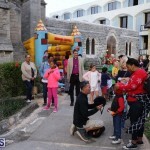 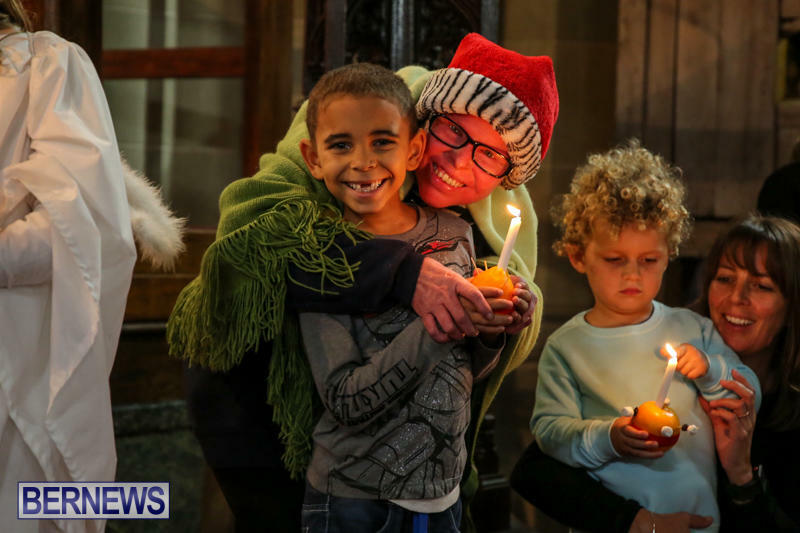 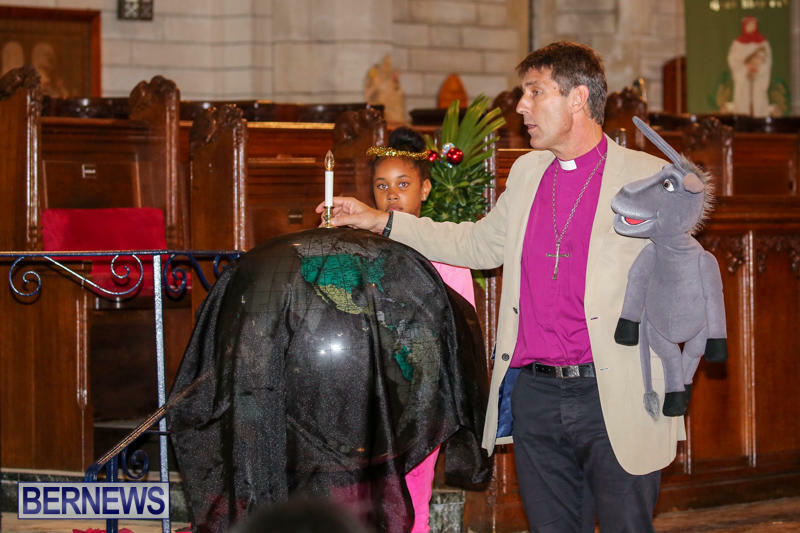 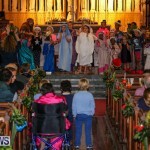 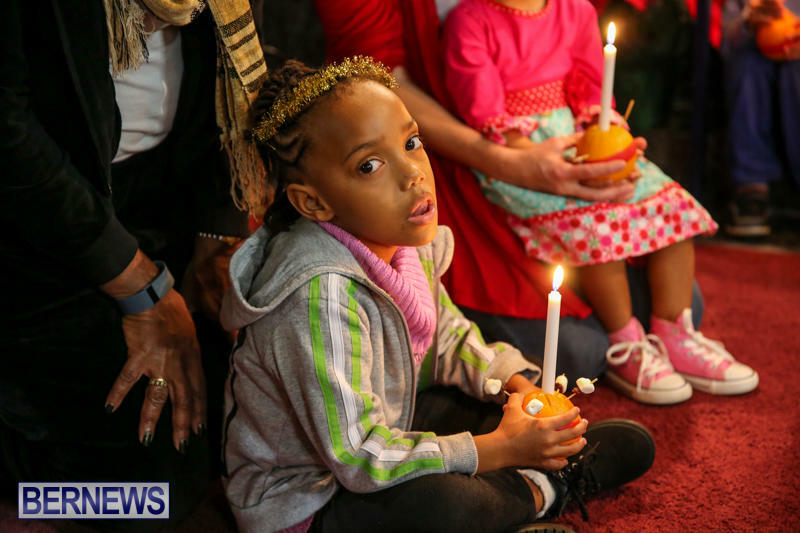 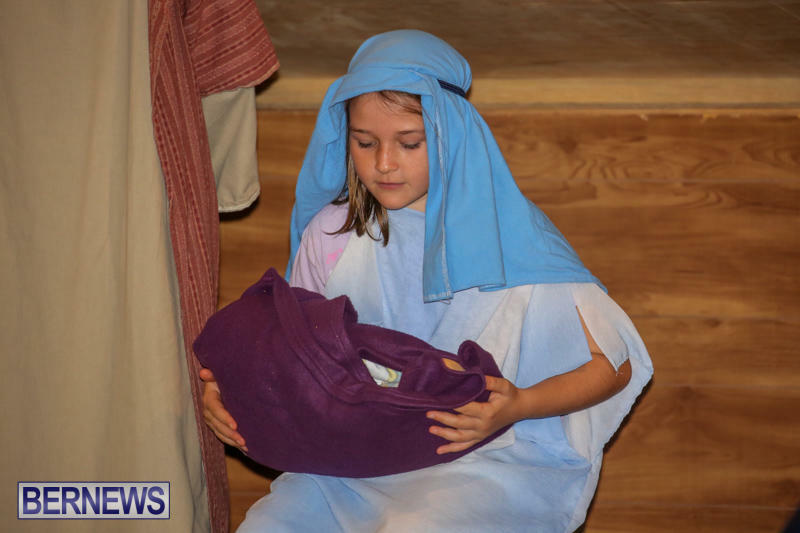 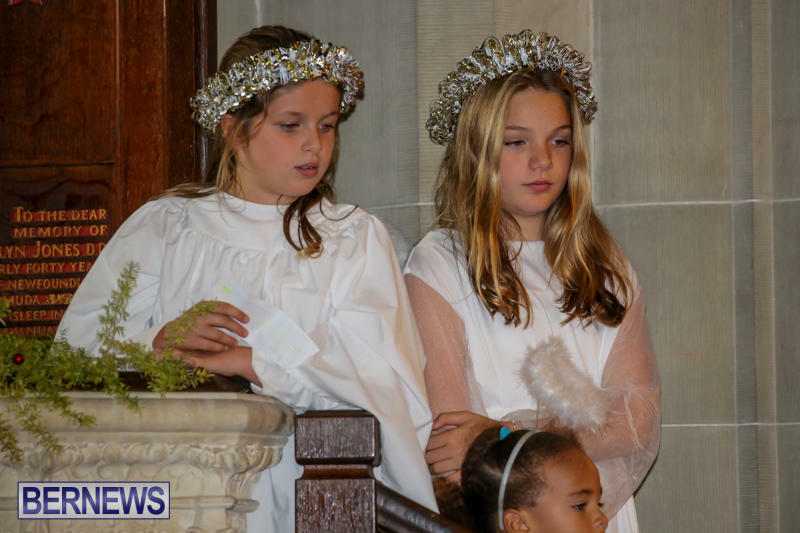 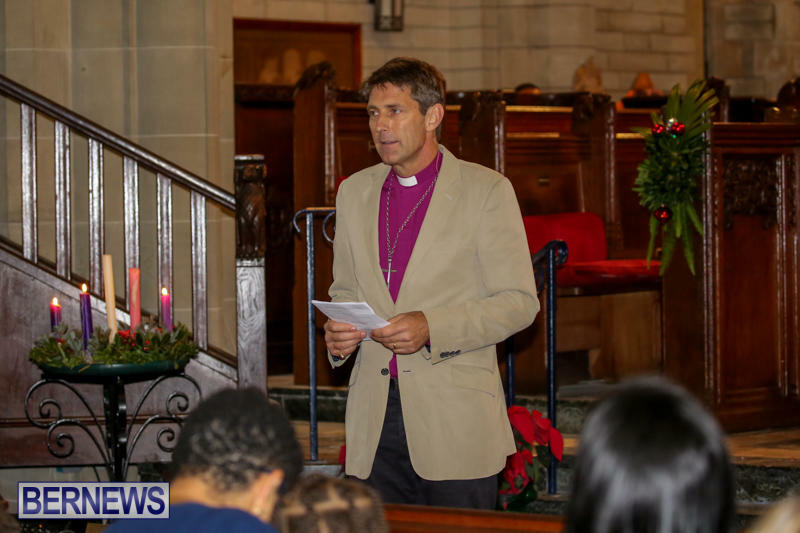 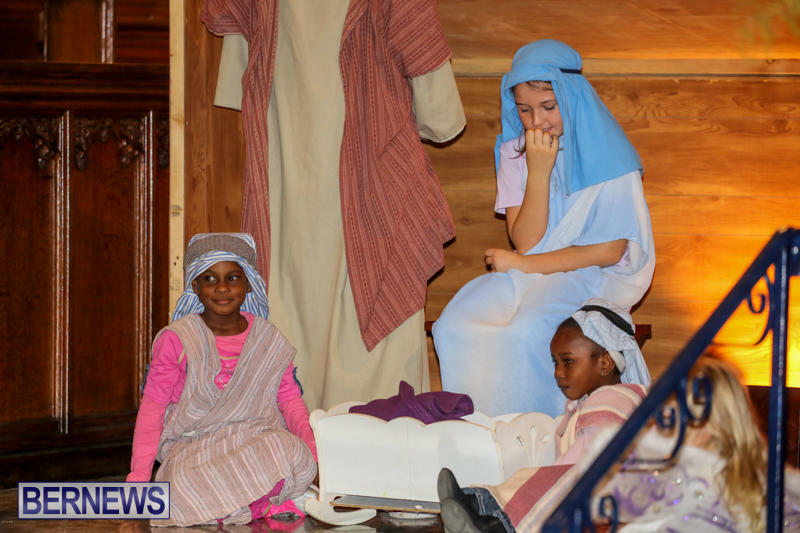 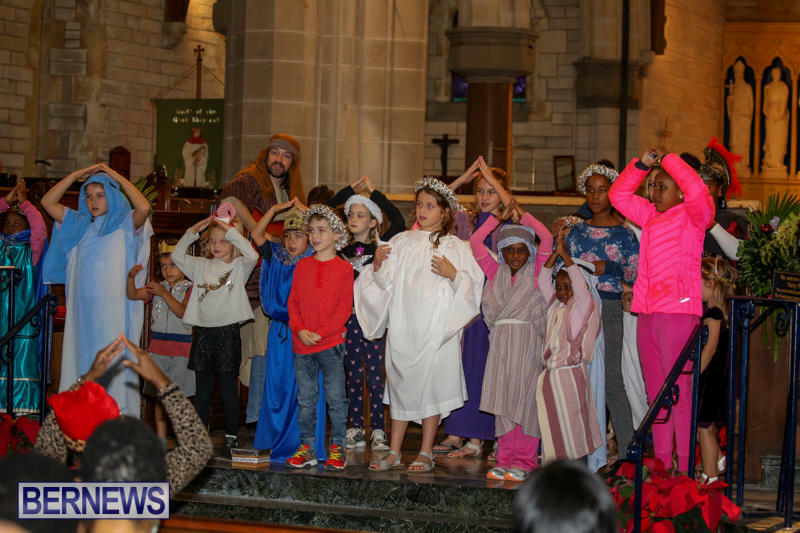 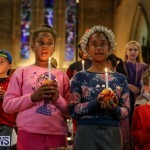 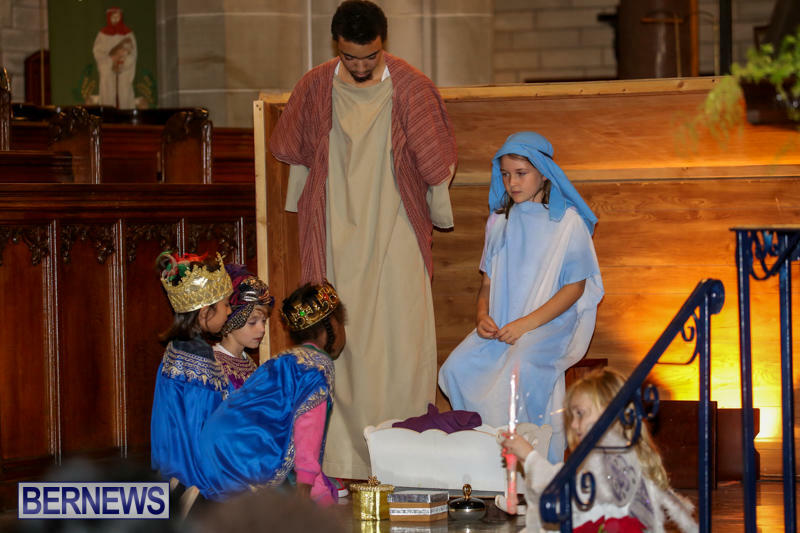 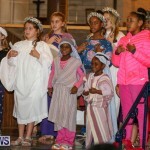 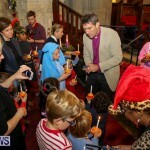 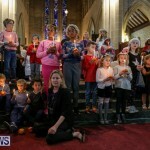 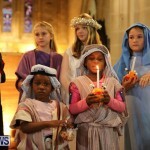 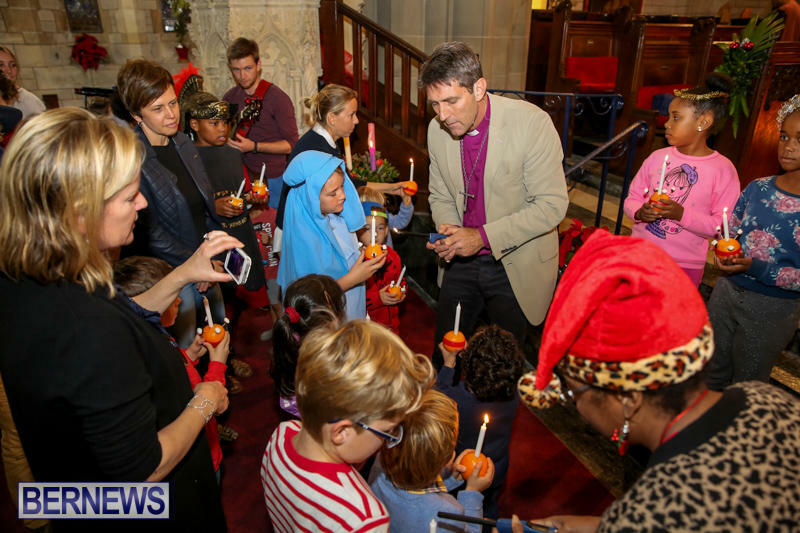 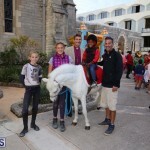 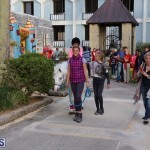 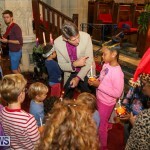 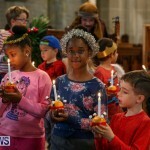 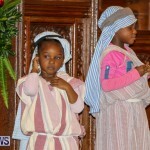 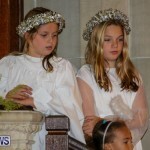 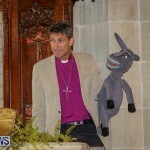 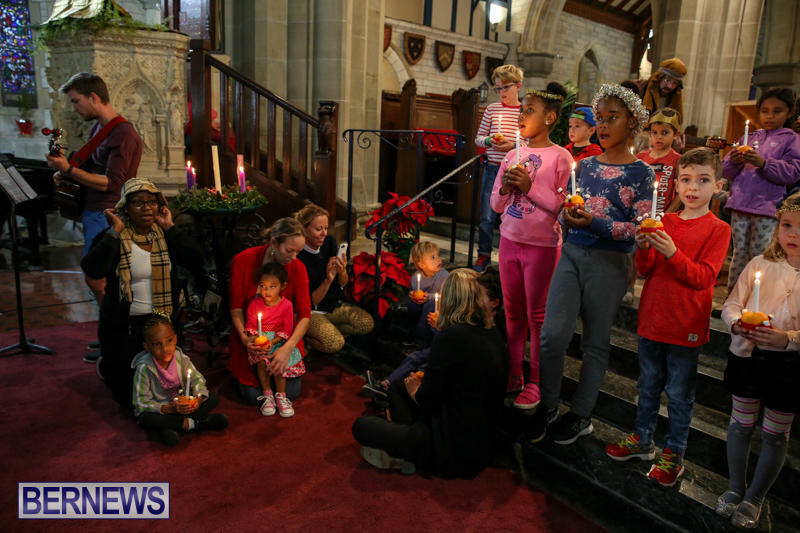 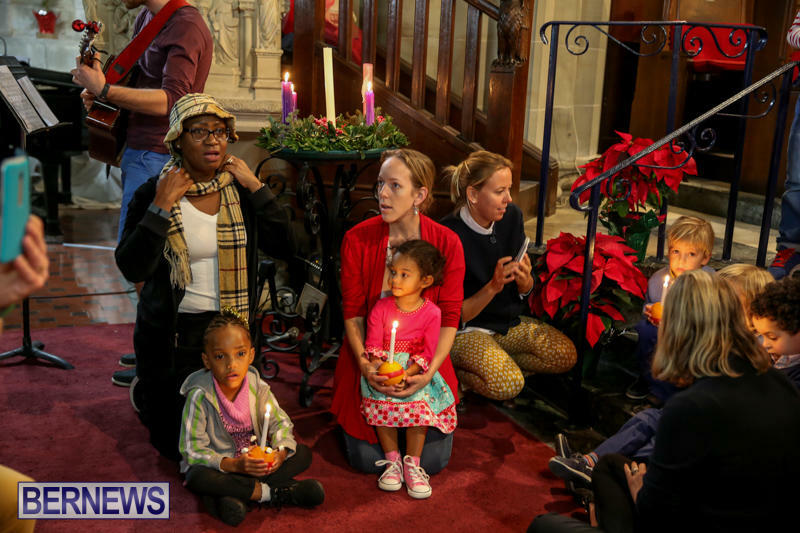 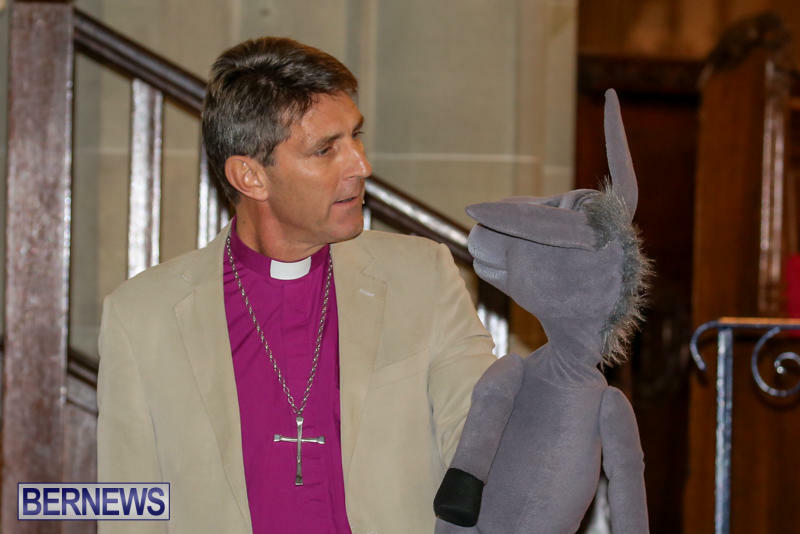 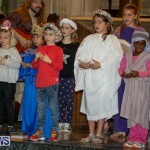 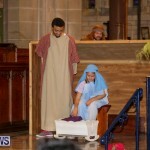 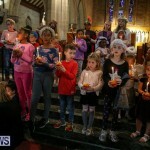 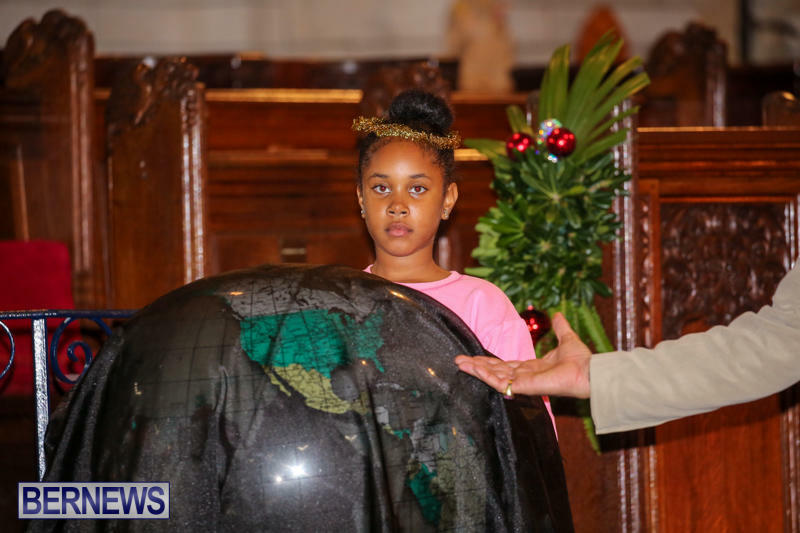 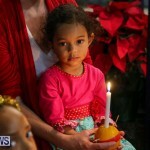 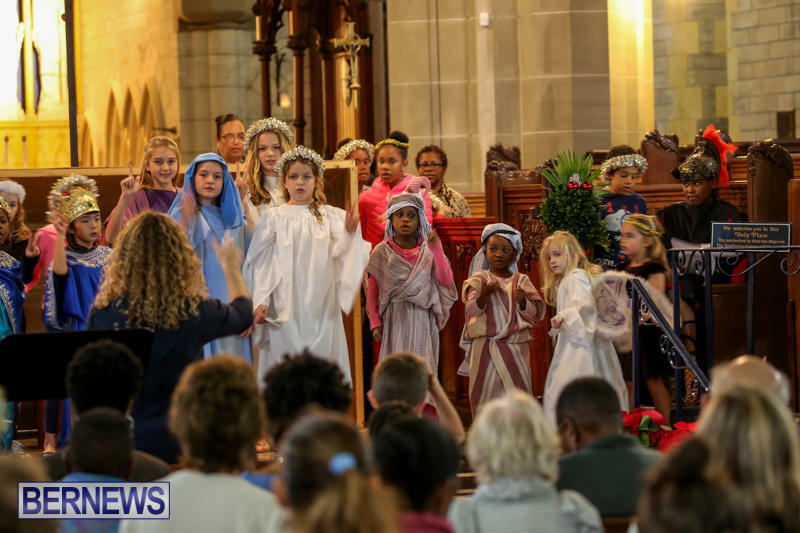 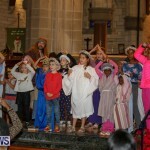 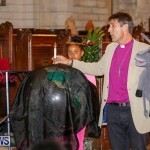 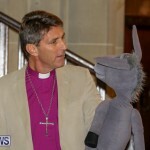 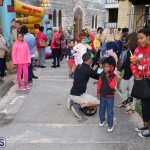 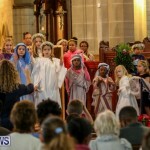 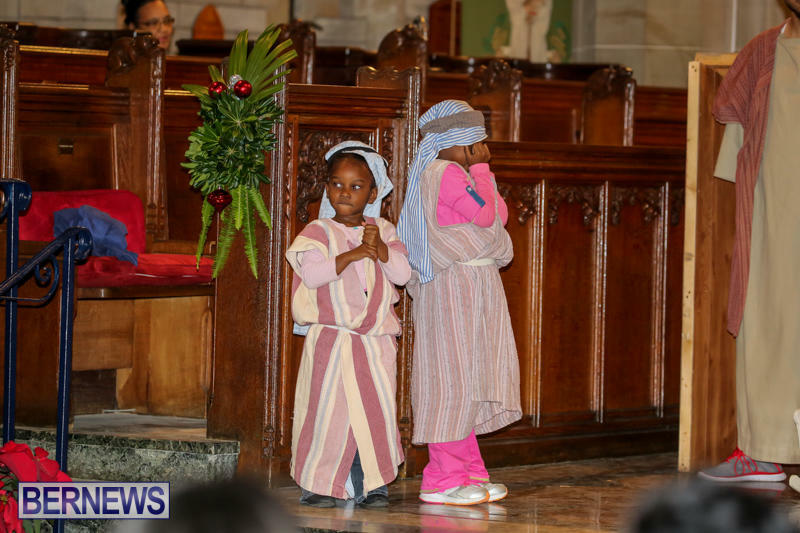 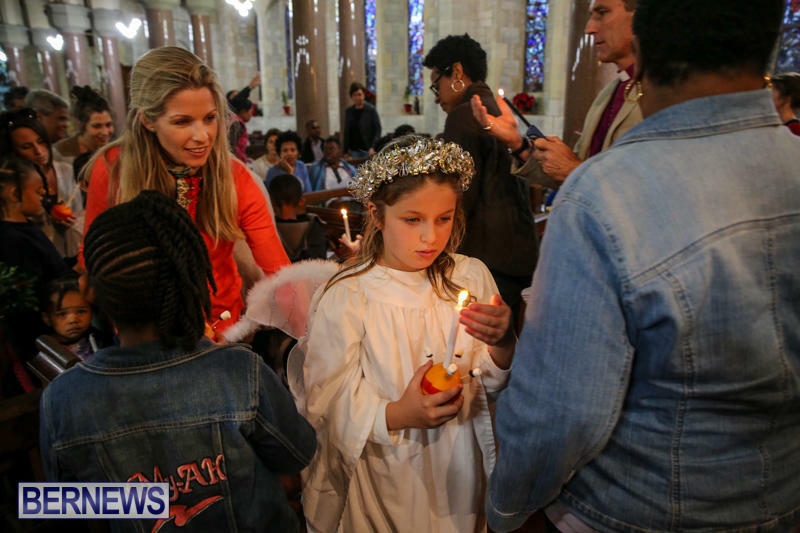 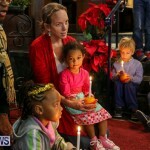 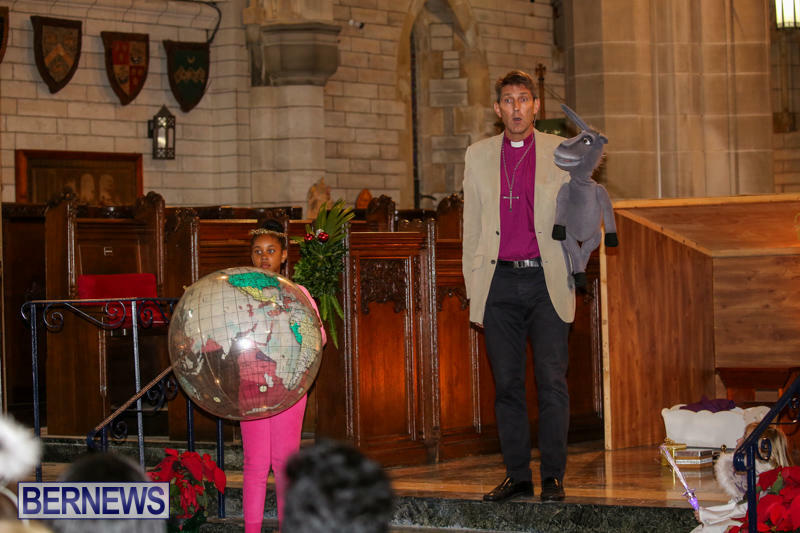 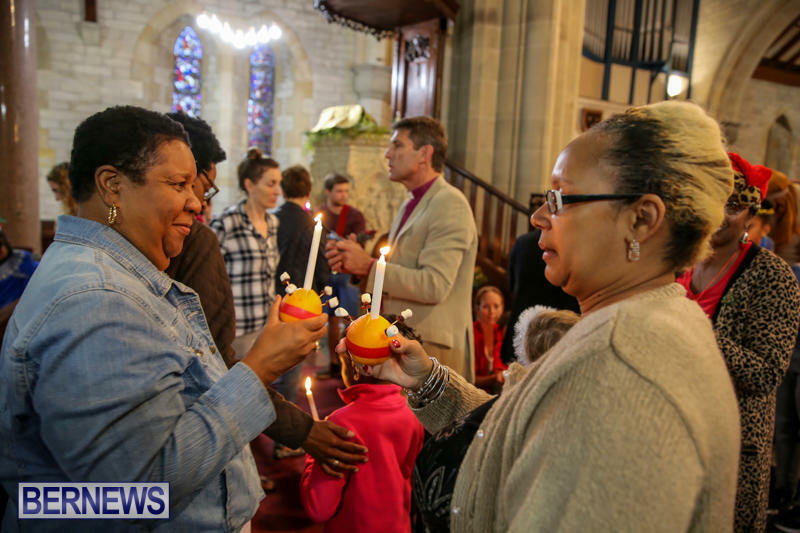 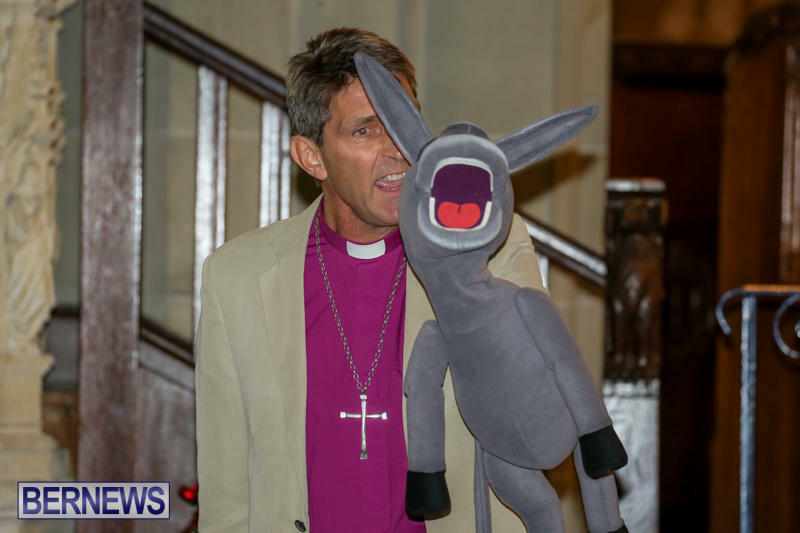 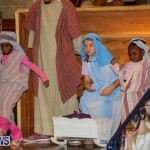 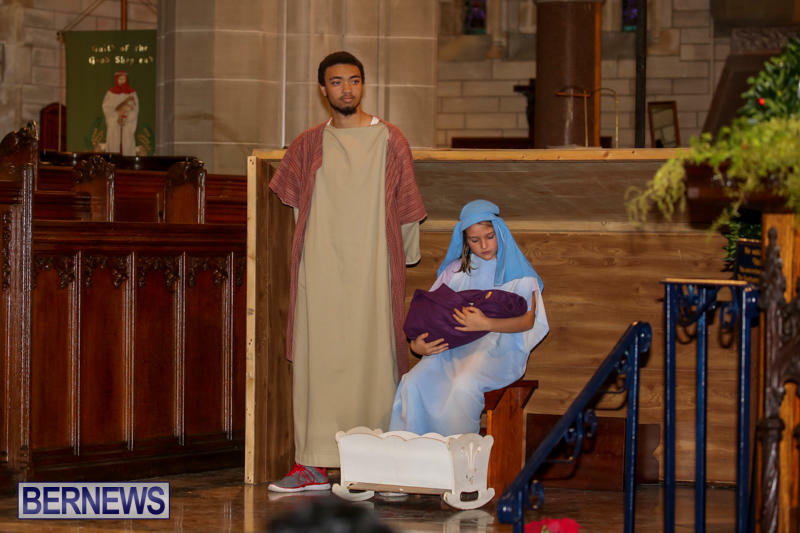 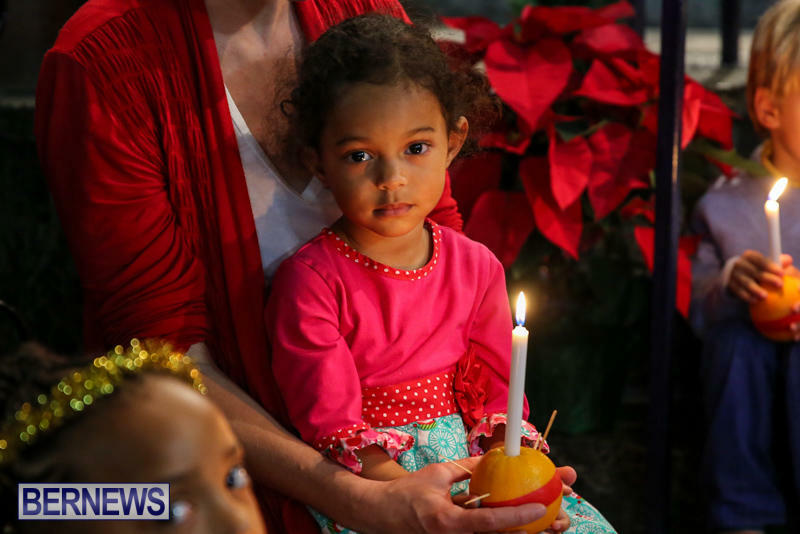 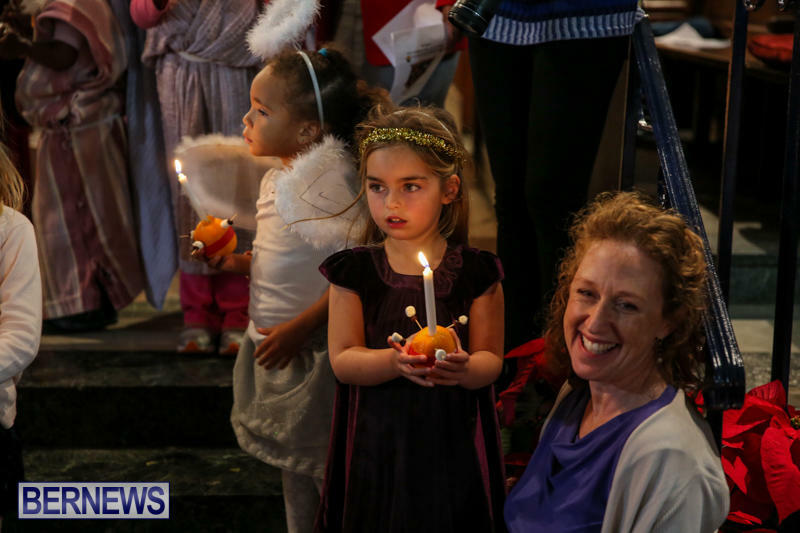 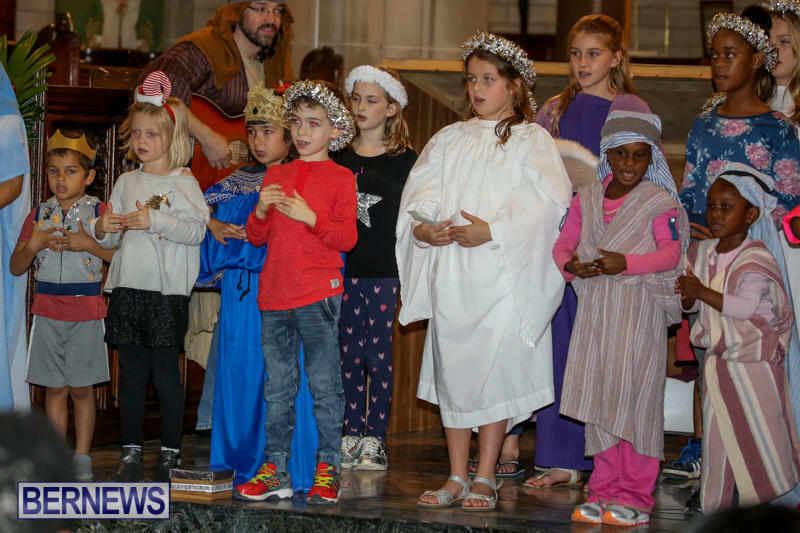 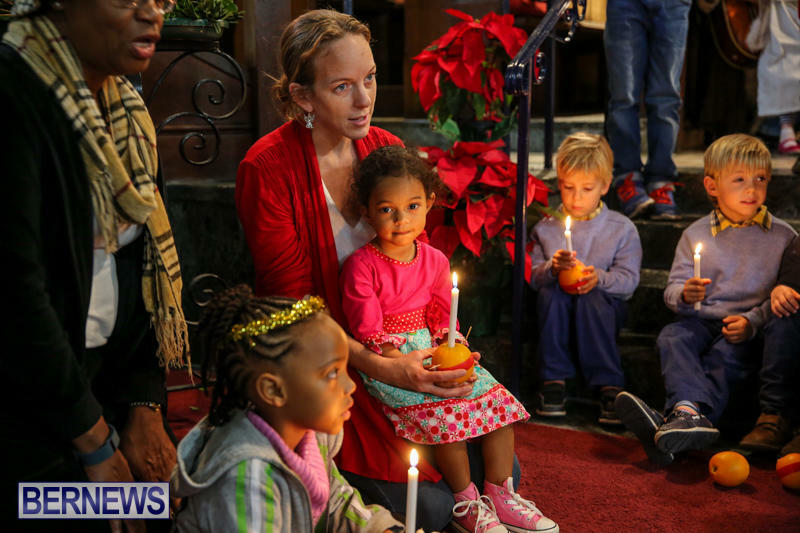 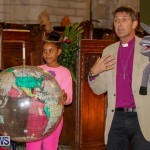 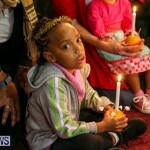 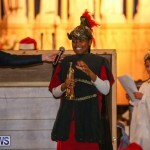 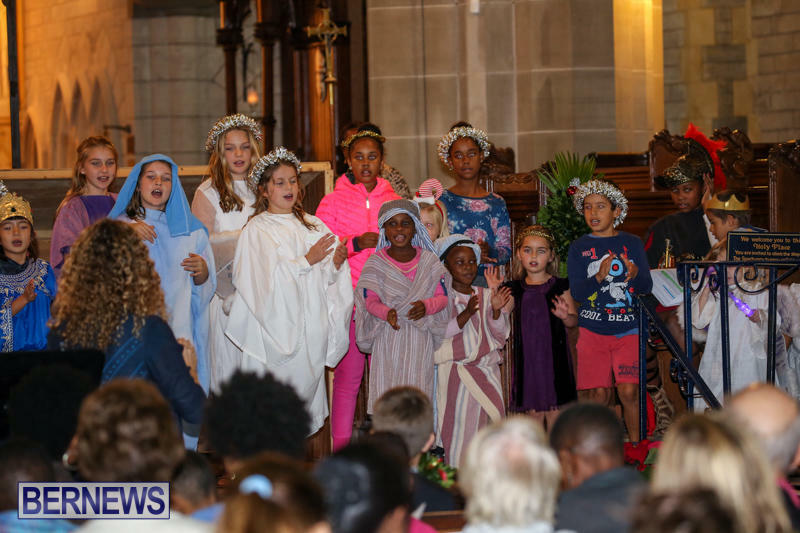 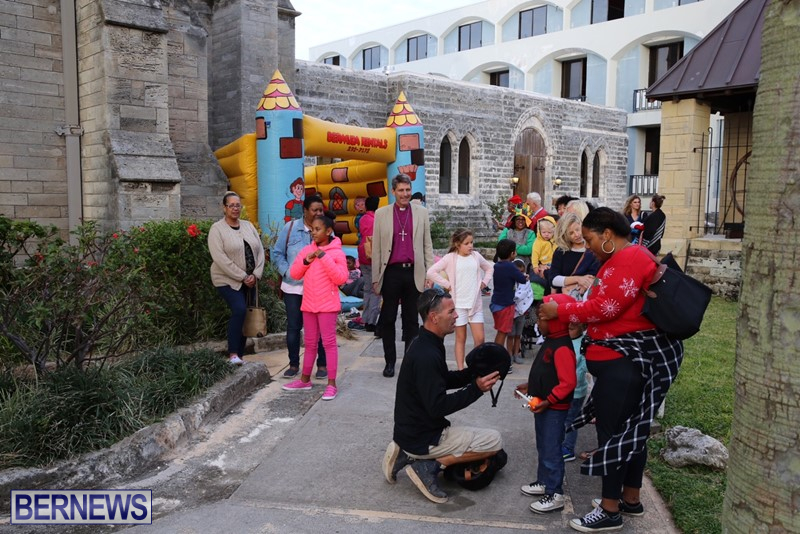 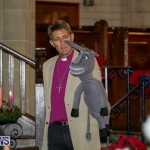 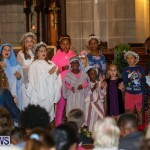 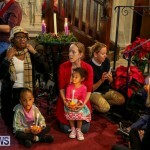 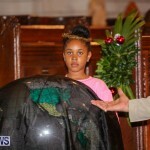 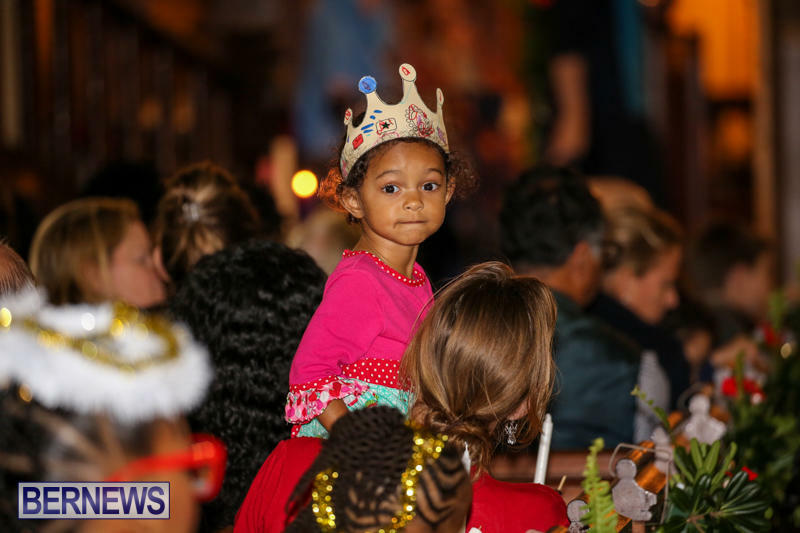 The Anglican Church of Bermuda hosted their annual Children’s Nativity Service on Friday [Dec 23] at The Cathedral of The Most Holy Trinity on Church Street. 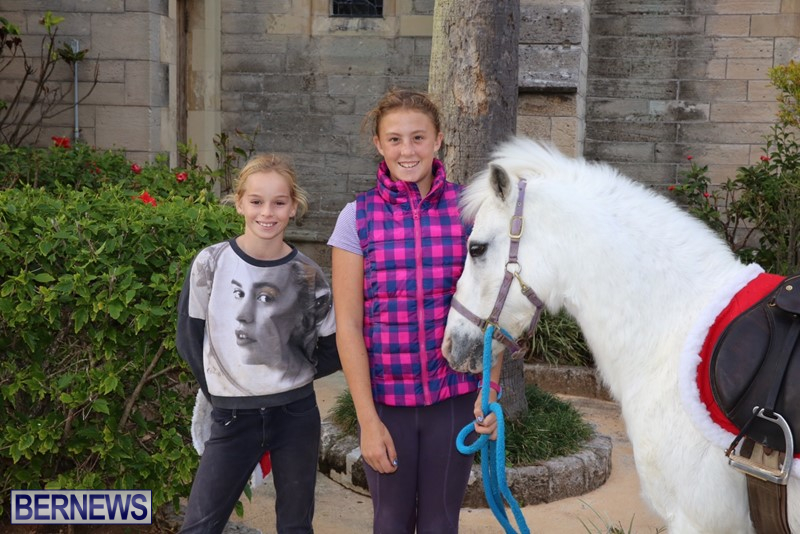 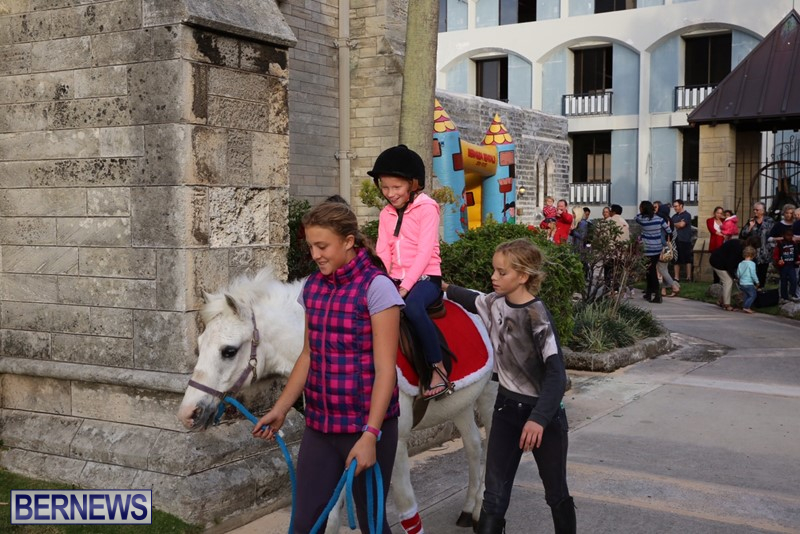 The afternoon event started at 4:00pm with crafts, a fun castle and free pony rides. 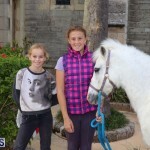 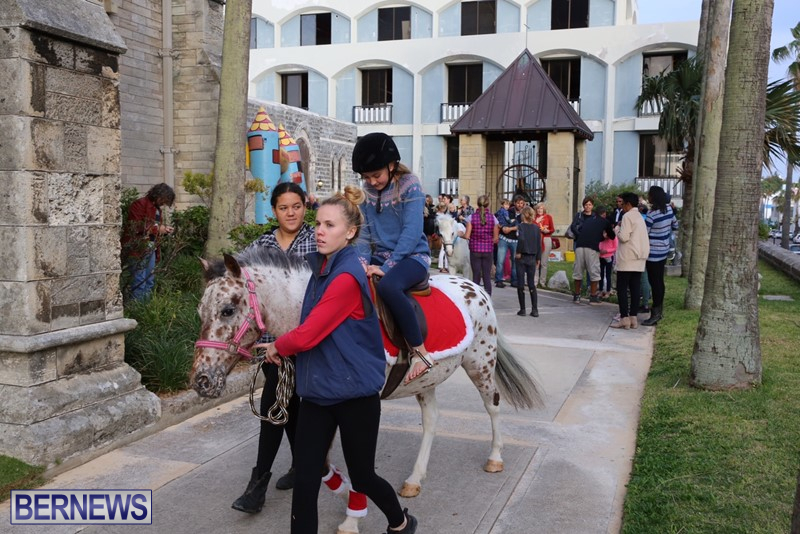 Two ponies from Spicelands Riding Centre arrived at the city centre location ready to bring some joy. 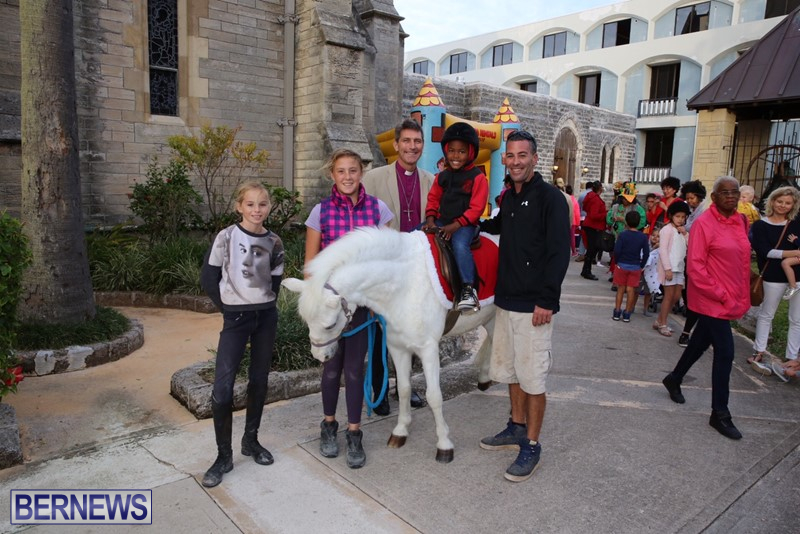 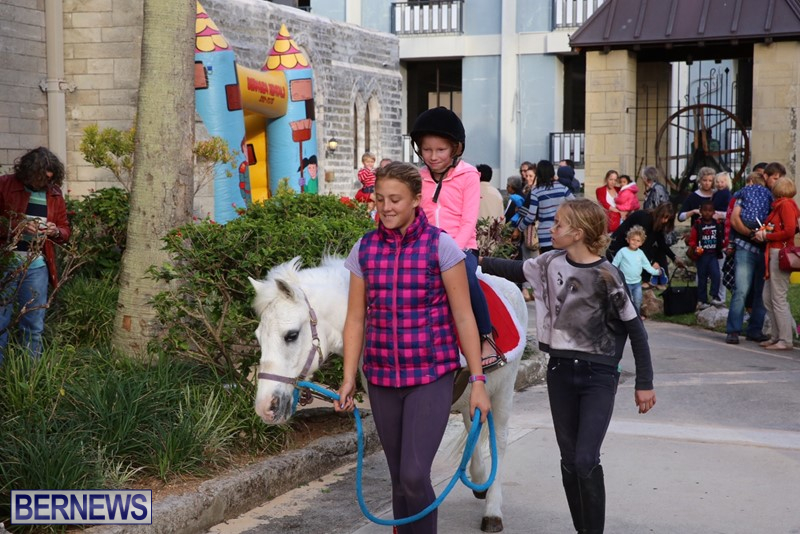 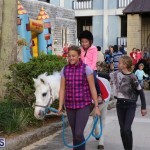 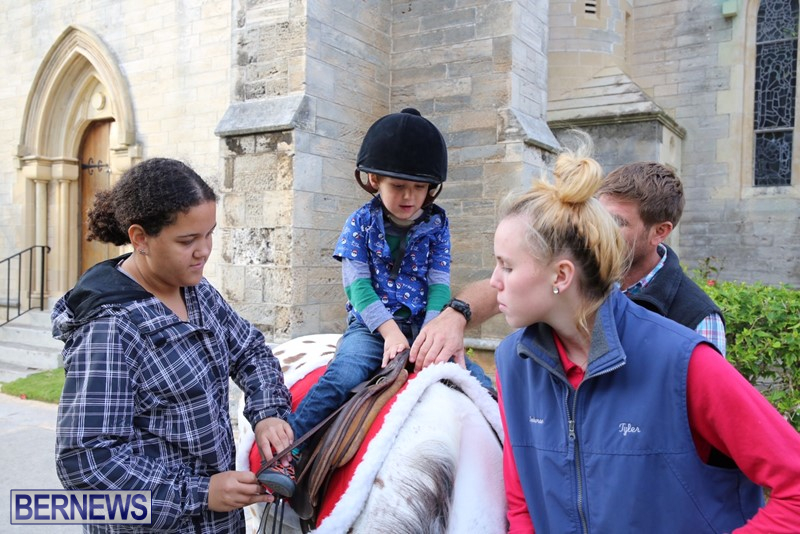 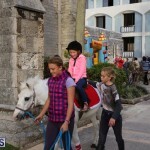 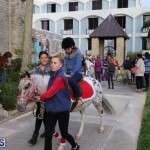 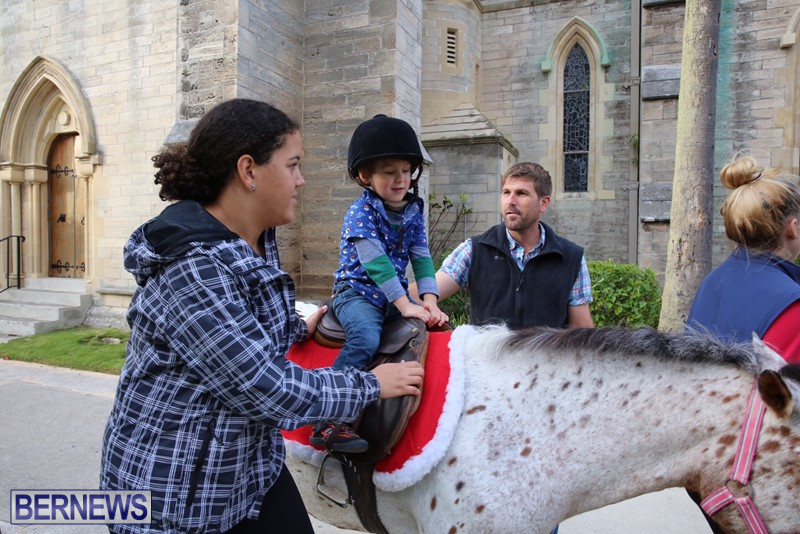 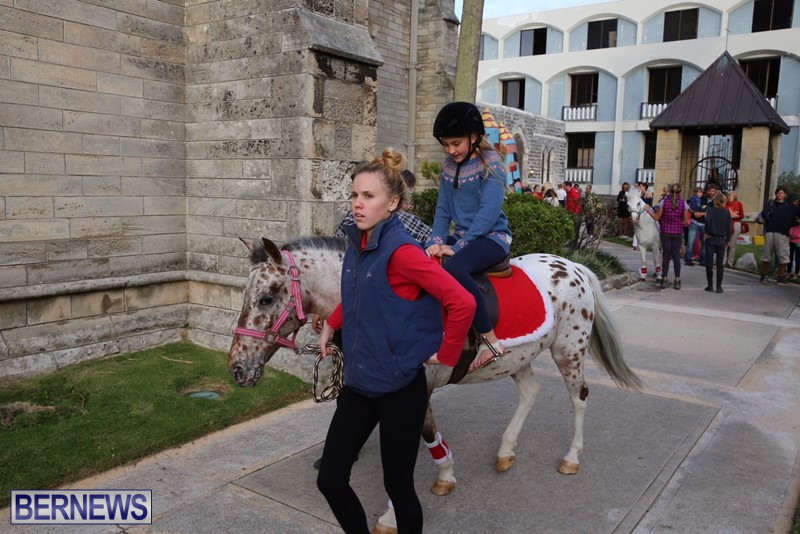 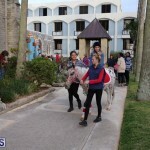 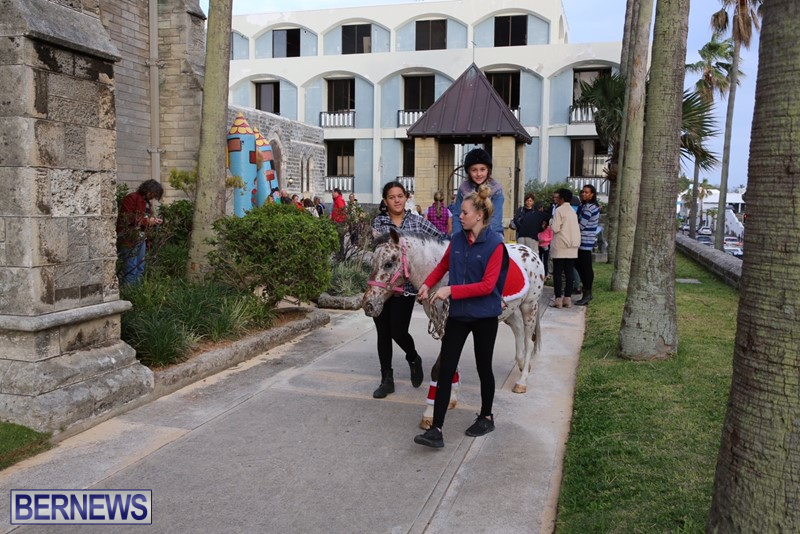 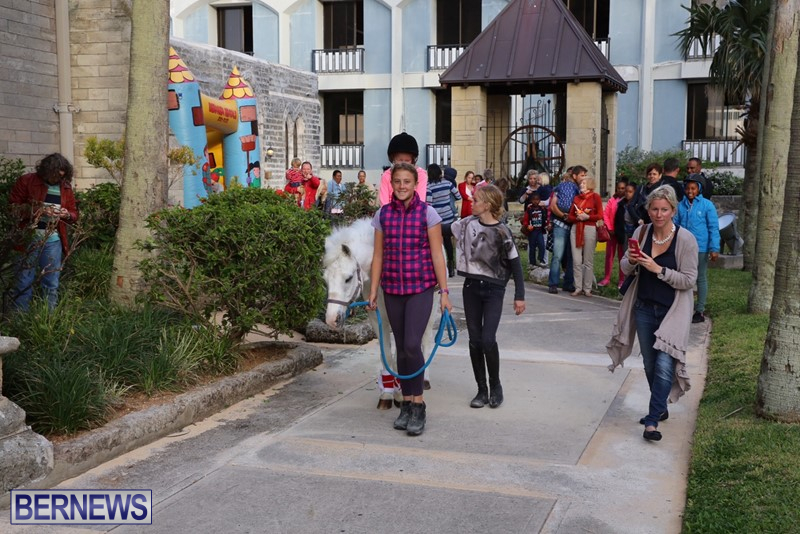 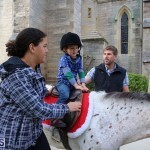 Parents watched with glee as the children took their pony rides around the property while Bishop Nicholas Dill enjoyed the festivities, prepared little ones for the service and handed out free cookies. 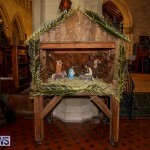 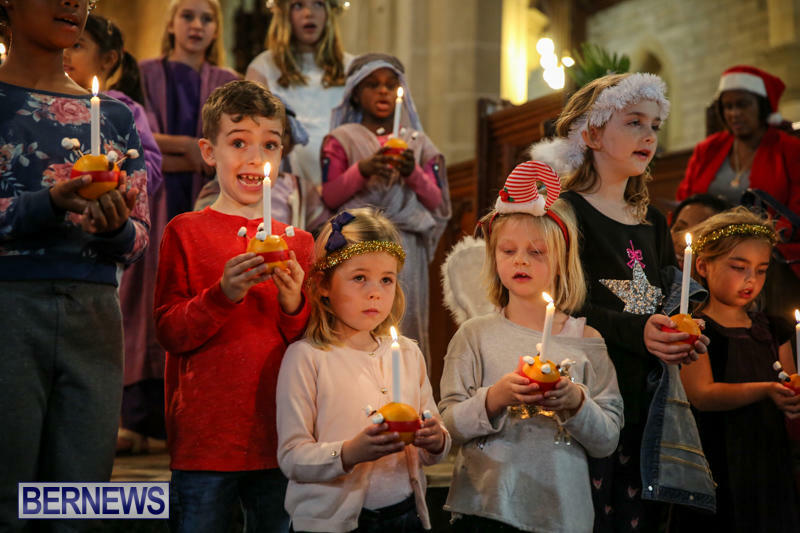 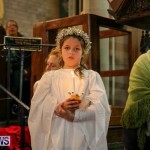 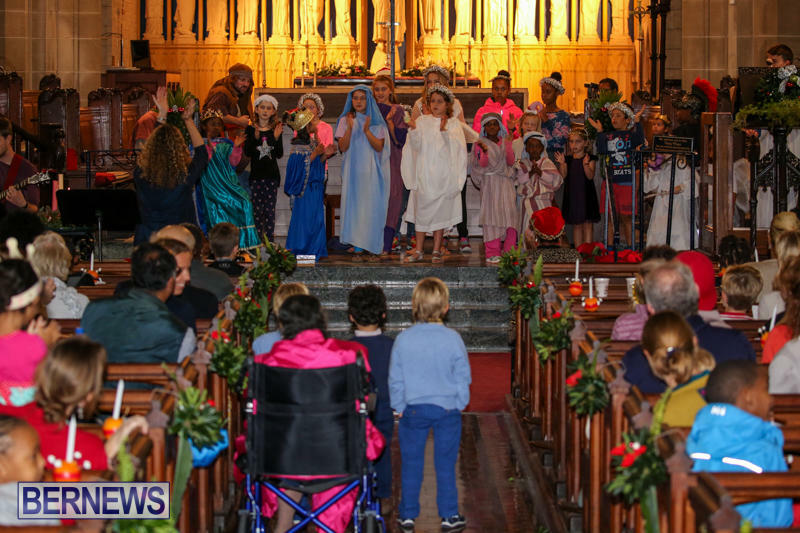 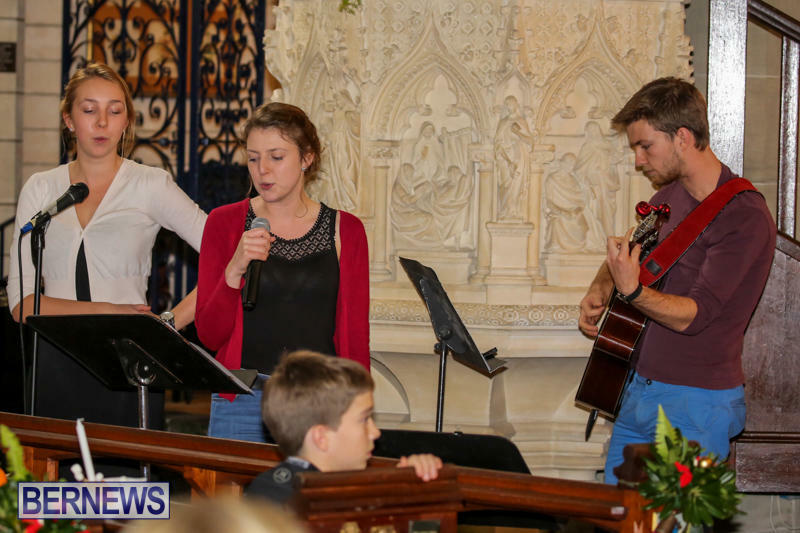 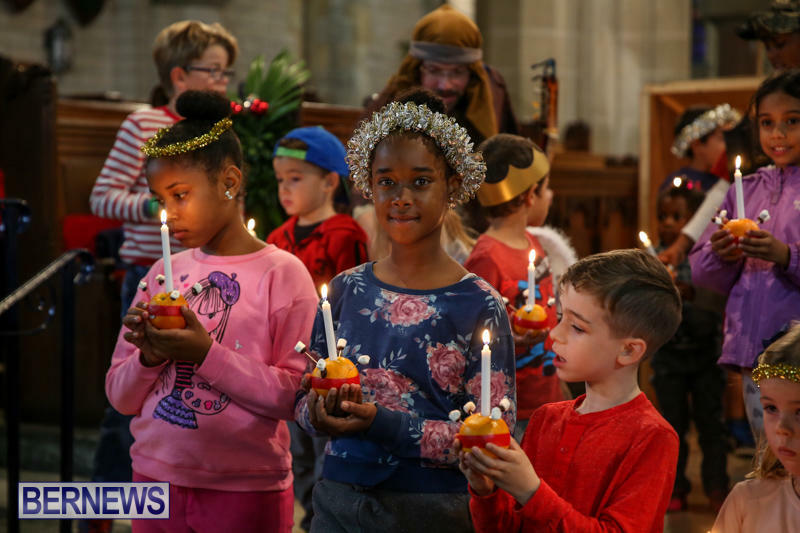 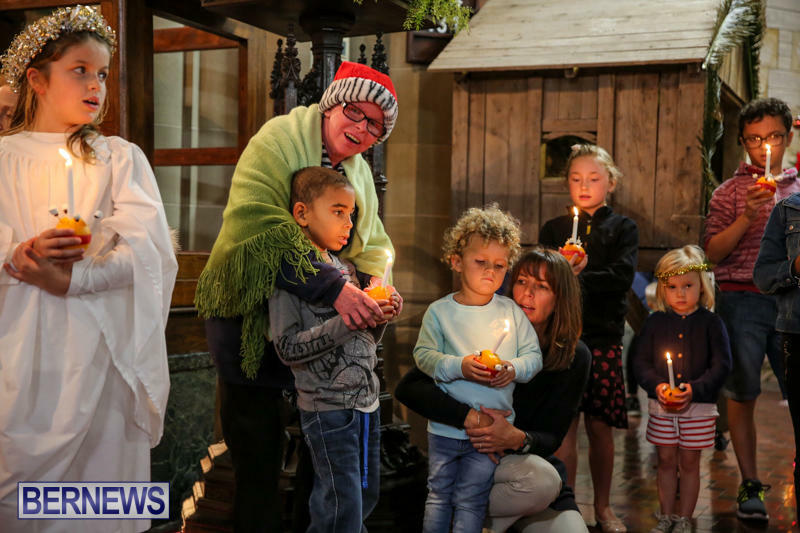 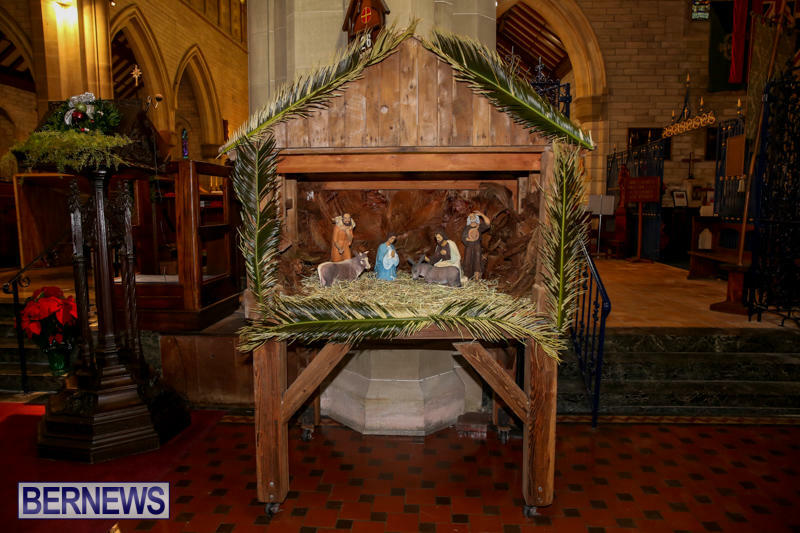 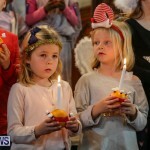 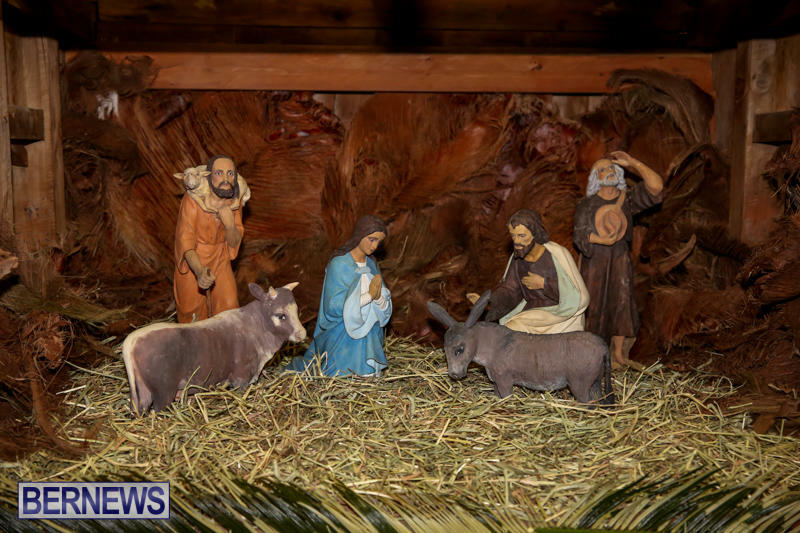 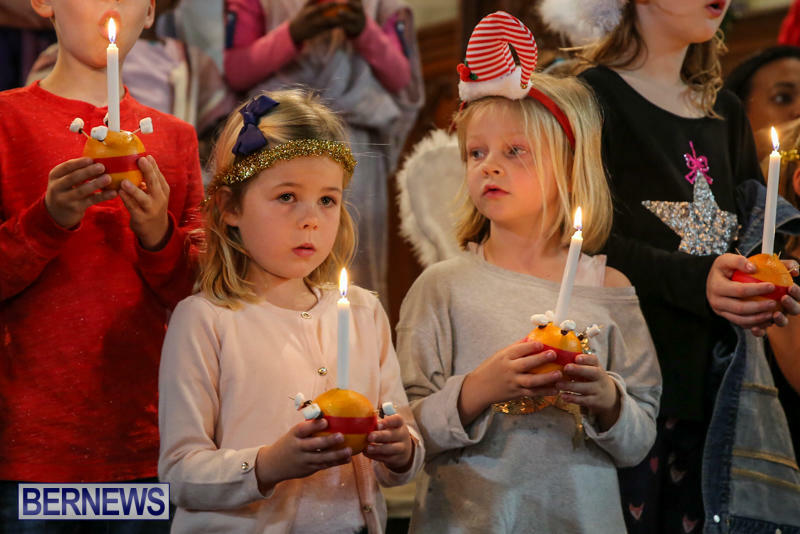 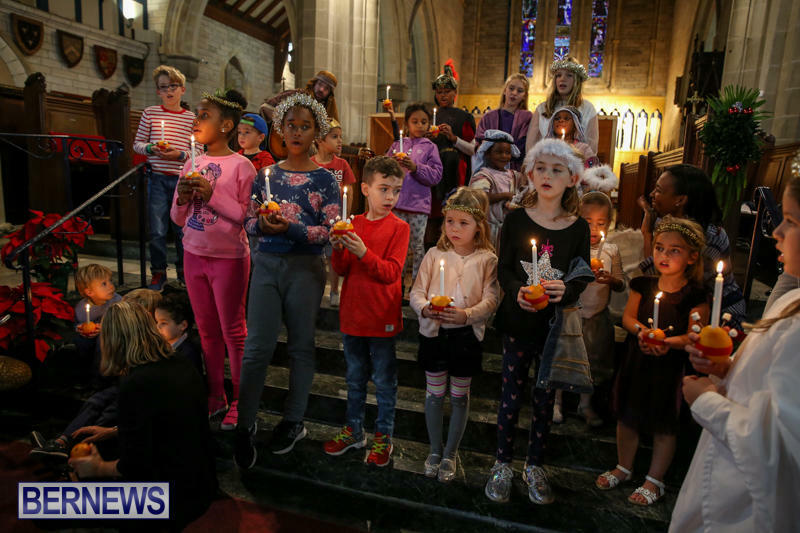 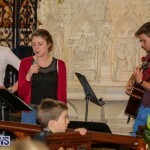 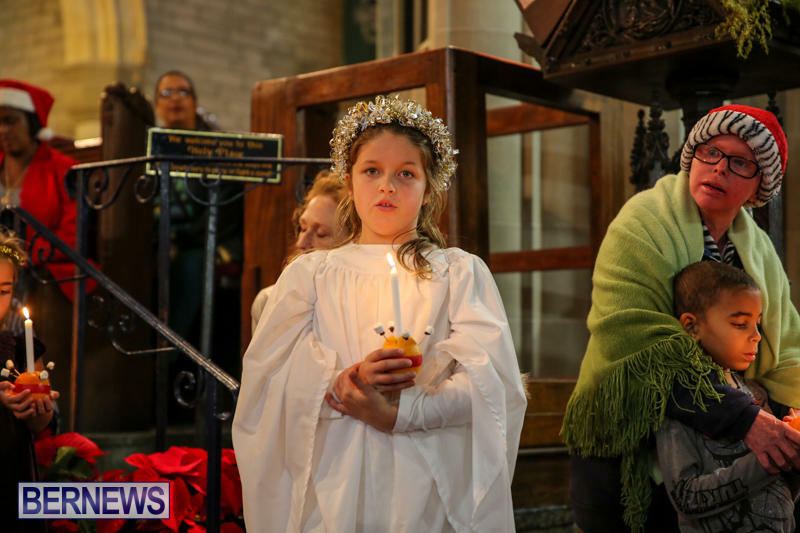 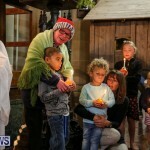 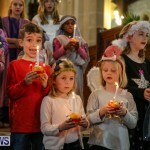 The service began at approximately 4:45pm with many of the children attending volunteering to take part in the service, dressing as their favourite nativity character and taking to the alter to sing and act in the production.